Another crazy weekend of photography for me, so I’m falling behind on my posts! However, we will persevere! 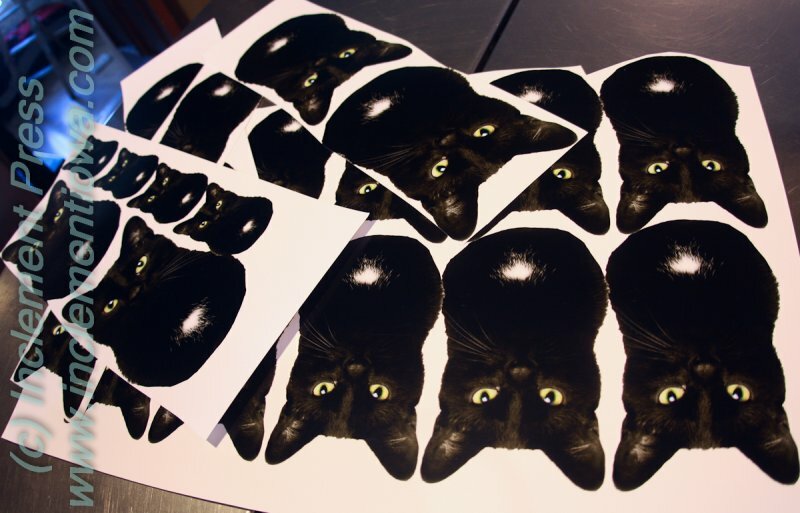 Today, we are going to do some printmaking! You will need potatoes, paint ( I used orange and black, because of fast-approaching Halloween), paper, and small, sharp knives. Small children will need an adult to actually cut the potato for them. 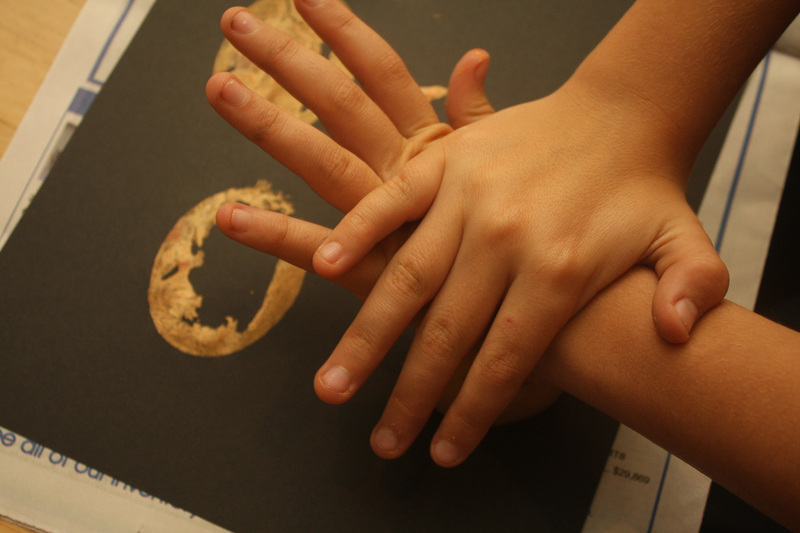 My older kids–11 & 13, loved cutting their own potatoes for printing. 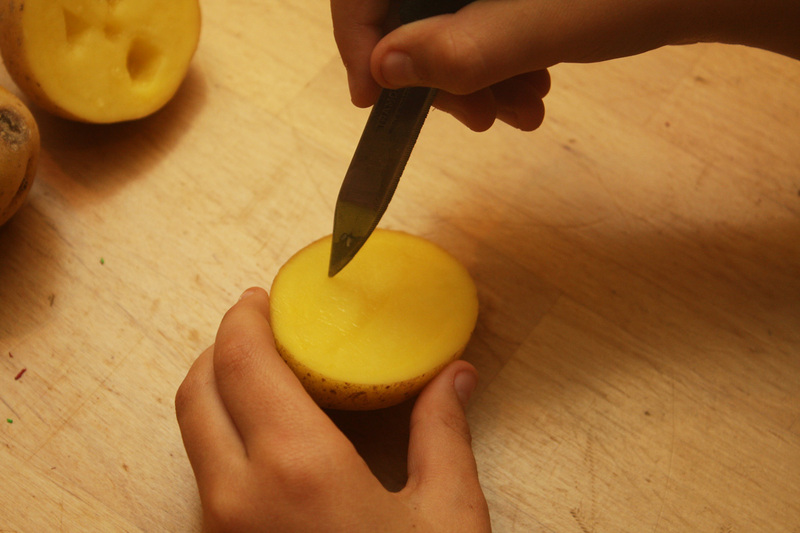 First, slice the potato in half carefully, making a flat cut surface for your “stencil”. Then, come up with a plan. 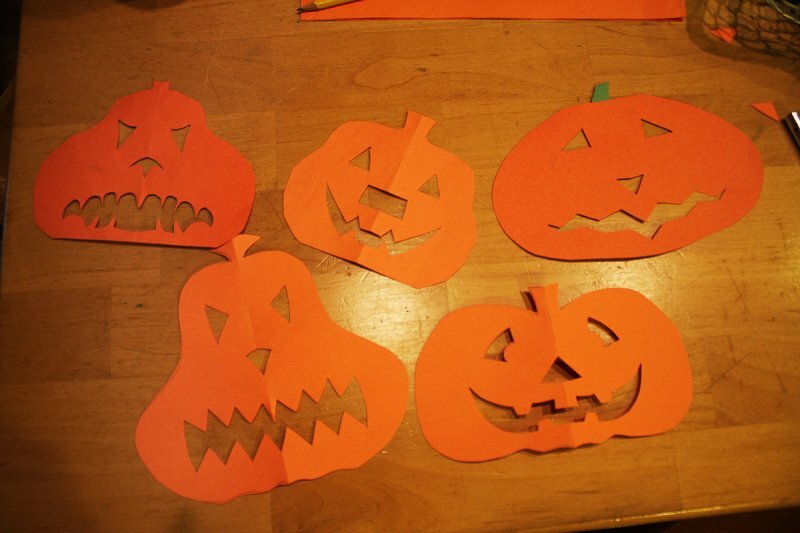 Are you going to make jack-o-lantern faces? My boys liked doing this, and, in fact, that was ALL they did. 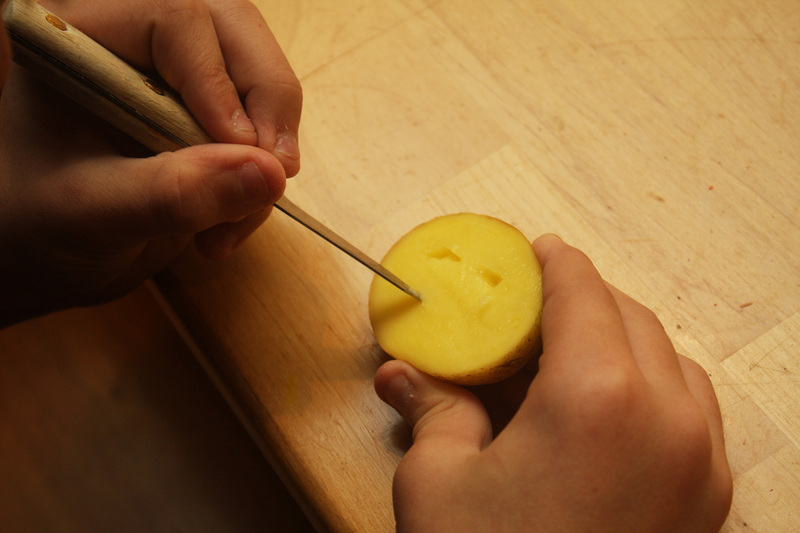 So, play around with the potato and your knife, cutting out eyes, nose, mouth, and any other details. Obviously, the larger the potato, the larger and more easily you can cut your shapes. Our potatoes were not huge, but each potato “stamp” only took a few minutes to complete. 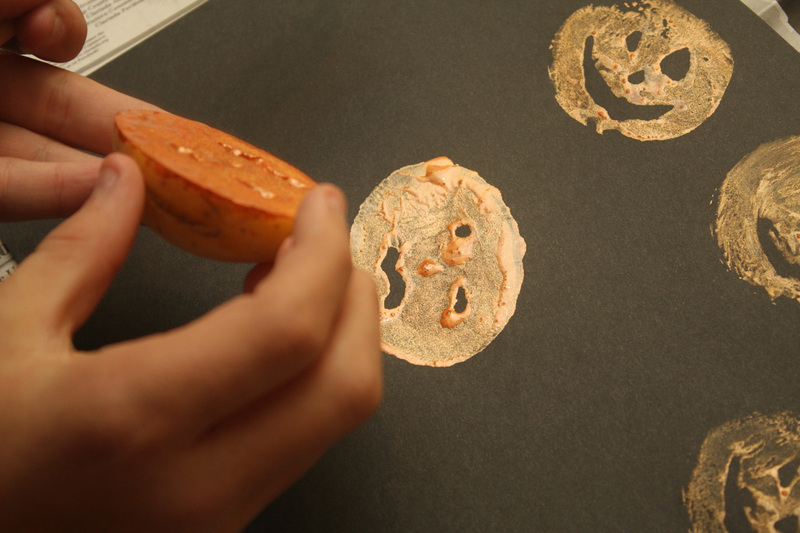 We then painted the surface of each potato stamp with whatever color we wanted to use. Then, grab some colorful paper and stamp away! Experiment a bit with each stamp–because of variations in the cuts, each will require different amounts of paint, and different amounts of pressure. Do NOT expect “perfection” from any one stamp or print. Have FUN with this! 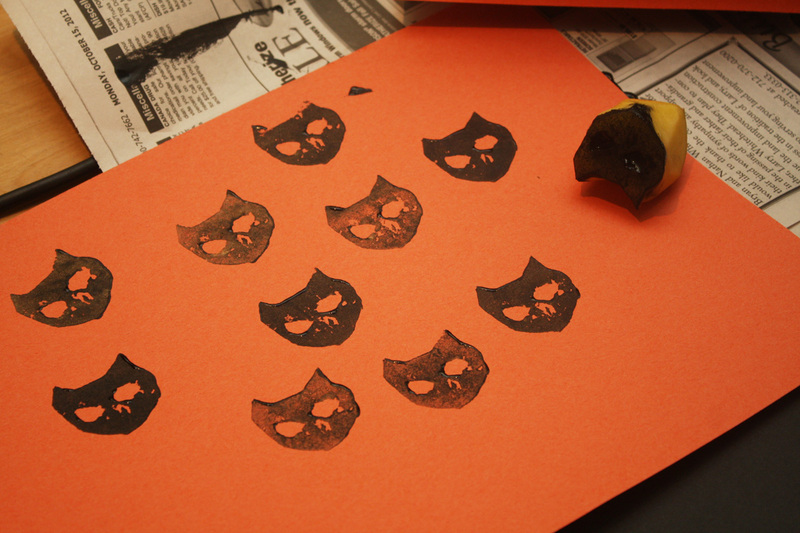 You can create Halloween cards for friends, stamp on fabric, or just make a whole lot of fun designs on paper! And the magical part of all of this is that when you are done, you can THROW the potatoes away! This little project is quick, fun, and works with any theme or holiday. Experiment with different fruits and vegetables as well. Check out my new children’s book, I HATE HALLOWEEN, which can be purchased here, and visit Bug Summer on Facebook and post pix of your own Halloween art projects here! Have a tremendous day! 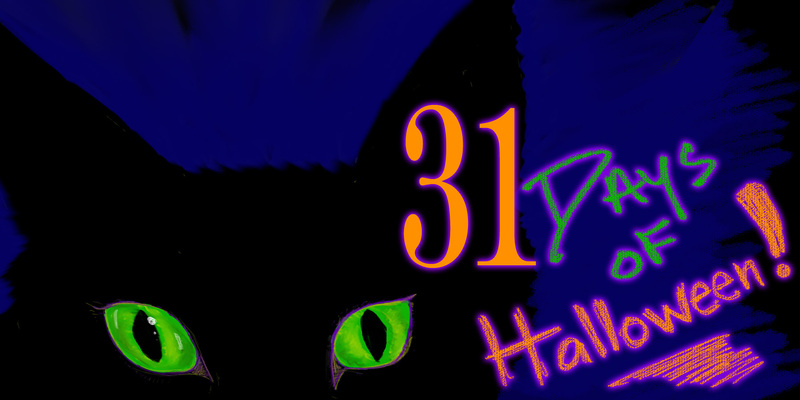 31 Days of Halloween–Project 13–TGIF! 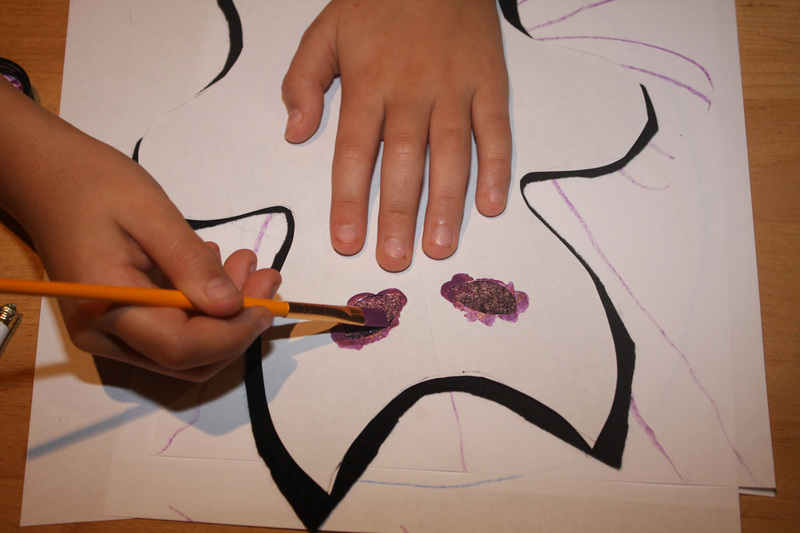 Today, after puppet making and photographic tinting, we are doing something simple! How about a Halloween crossword puzzle for the lil’ ones, based upon my book I HATE HALLOWEEN, which can be purchased here! 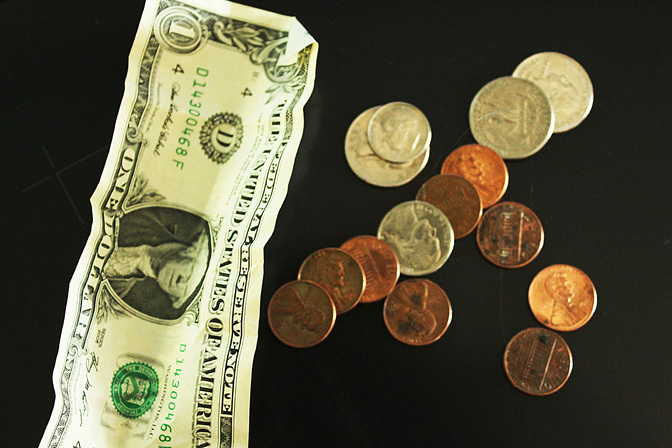 Perfect for a little holiday fun without a major investment in time, supplies, or clean-up! 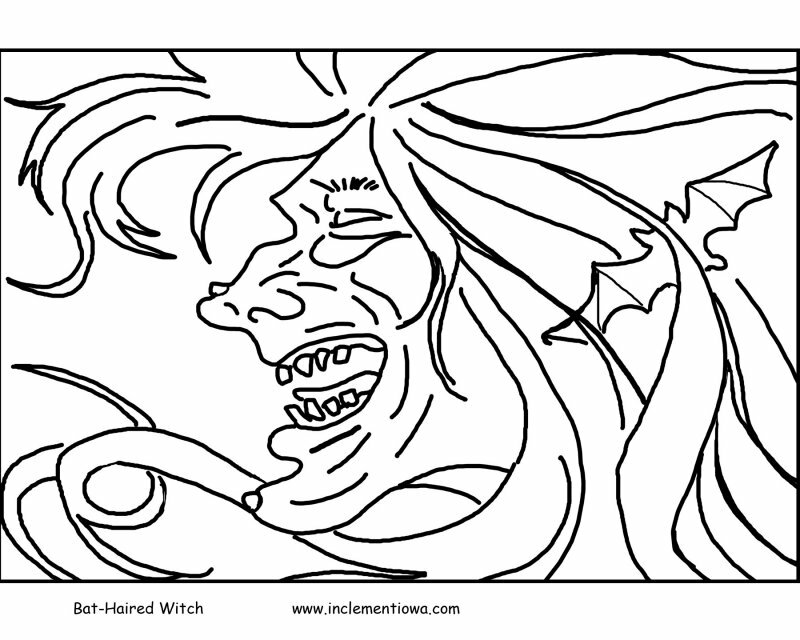 Click the link below, print it out, grab a pencil and GO! For those of you who don’t have the book, you may look it up an online pdf here to give you some hints! 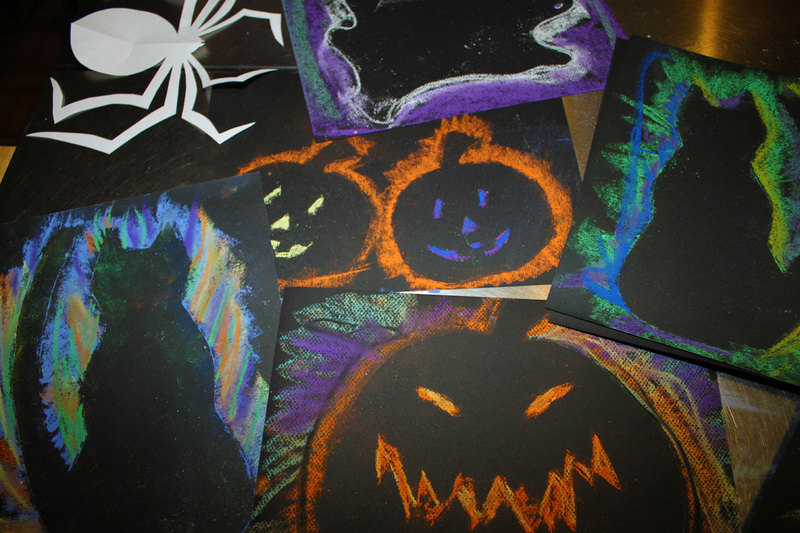 See you tomorrow with another art project celebrating Halloween! You will need potatoes. That is the only hint I’m giving today! 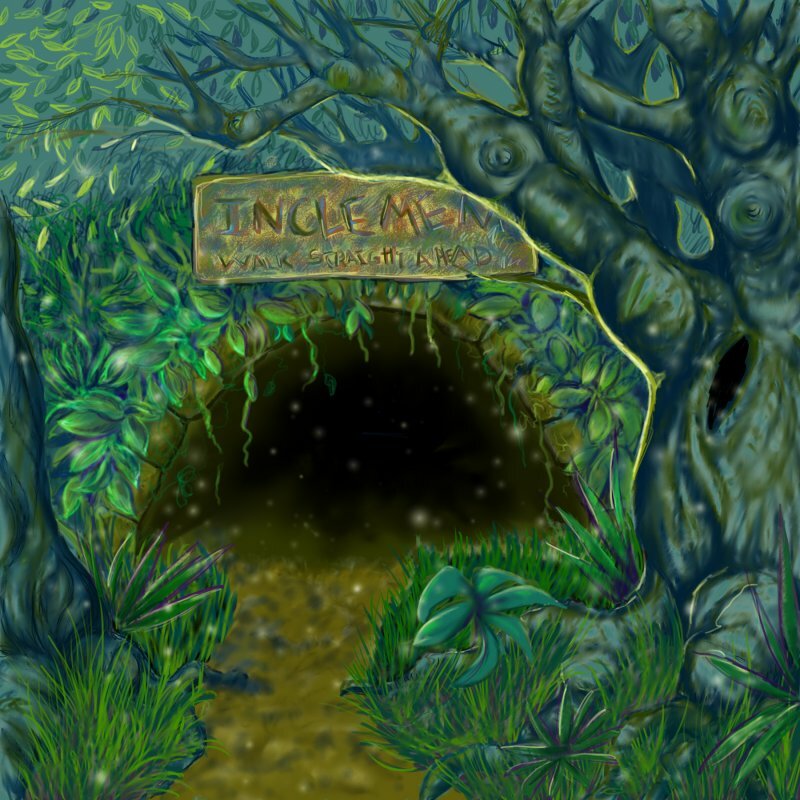 Look us up on Facebook here and like our page! Have a GREAT Friday! 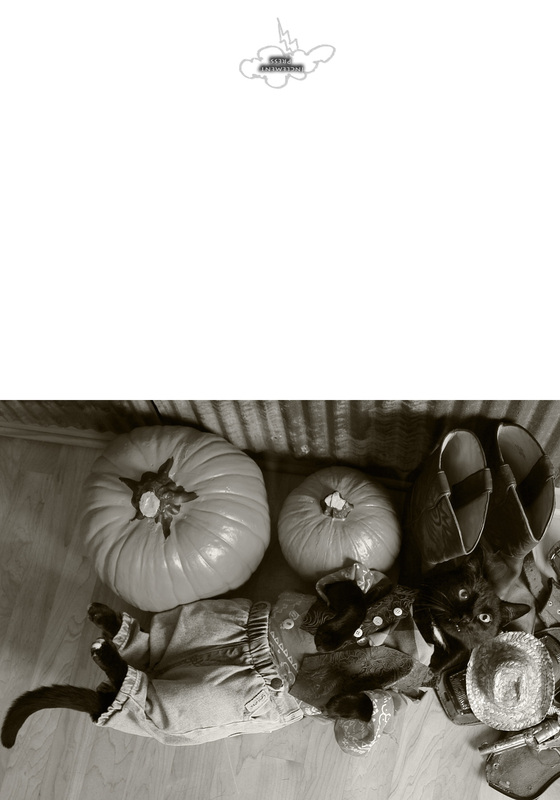 Have you seen black and white photographs with little “pops” of color added back in for accent? They are very popular, and as pro photographer, I perform “digital tinting” all the time. 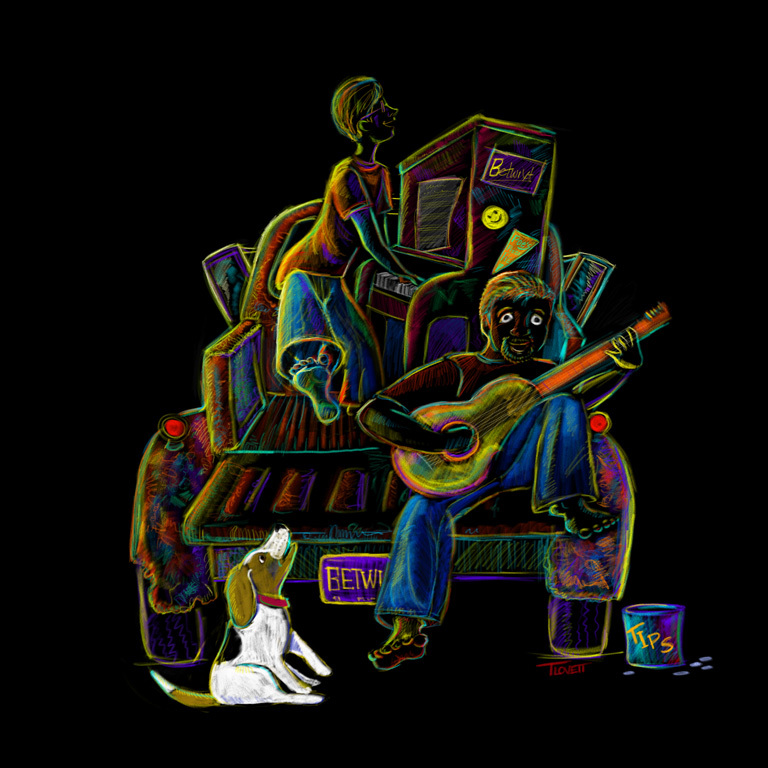 However, before there were computers, Photoshop, digital cameras, or even color film, folks wanted pictures with color in them. And the photographer would print a black and white image on special paper and use transparent oil paints to add flesh tones, eye color, tint clothing, and anything else they felt needed that little pop. I still perform “hand-tinting” today. It’s definitely a high level skill, especially with oil colors and large sized prints. 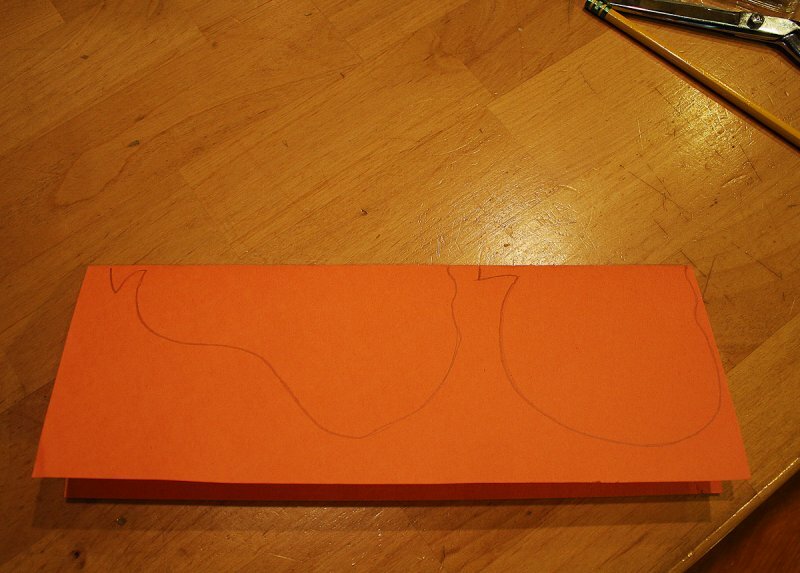 However, it is a very fun activity for kids and adults alike when doing it on a smaller, more personal scale. 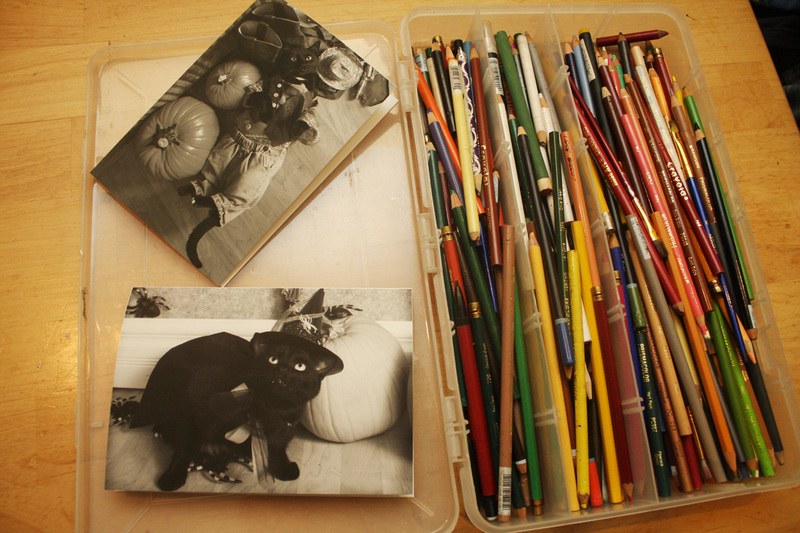 Today you will need a variety of colored pencils, and a black and white photograph printed on matte surface paper or cardstock. 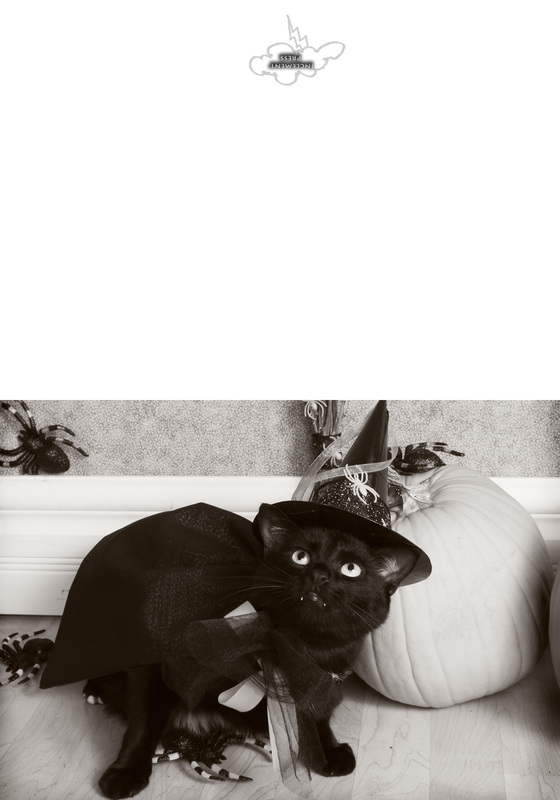 I’m including two Halloween photographs of Soda Pop, ready to print out that will be foldable into blank, 5×7″ greeting cards. (Soda Pop is the star of my book, I HATE HALLOWEEN, which may be purchased here, AND the inspiration for my 31 Days of Halloween projects.) 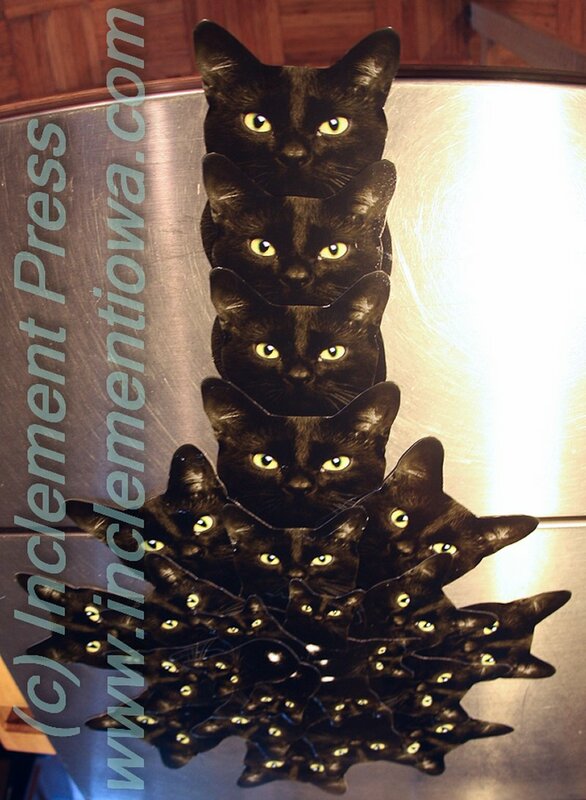 Print them on matte surface cardstock at the highest print quality. Let them sit for a couple hours or even a day before you begin tinting the photos to give the printer ink some time to dry and become permanent. Now, the next part is easy-peasy. 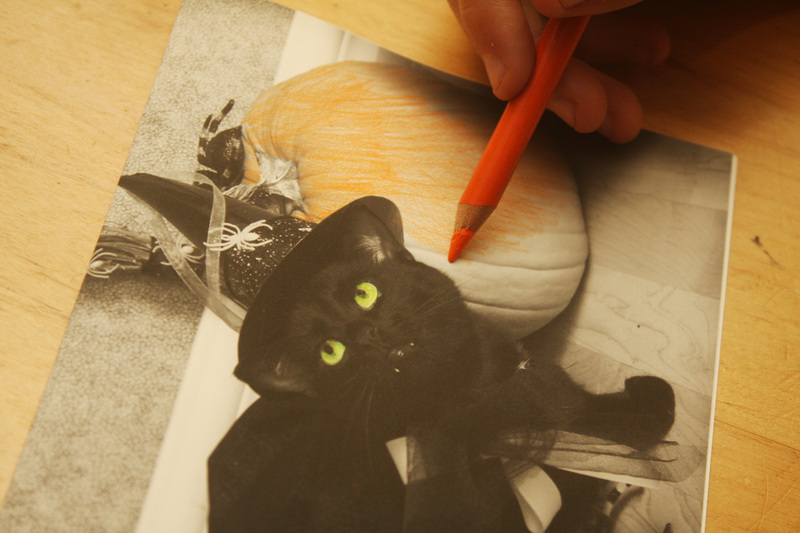 Simply pick some colored pencils, and get to coloring! Use light pressure and build up your tones gradually. 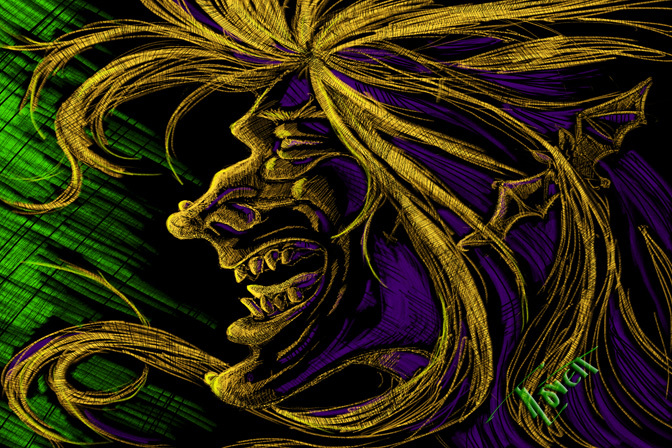 Have fun making realistic colors, or go crazy and surreal, using weird colors in weird places. Children especially have fun with this activity—give them black and white photos of relatives and they will have a BALL! And for the adults who want to really take their time, feel free to explore this art form more thoroughly. There are pencils made especially for photo tinting, as well as a line of markers, and of course, photo oils for the advanced artist. 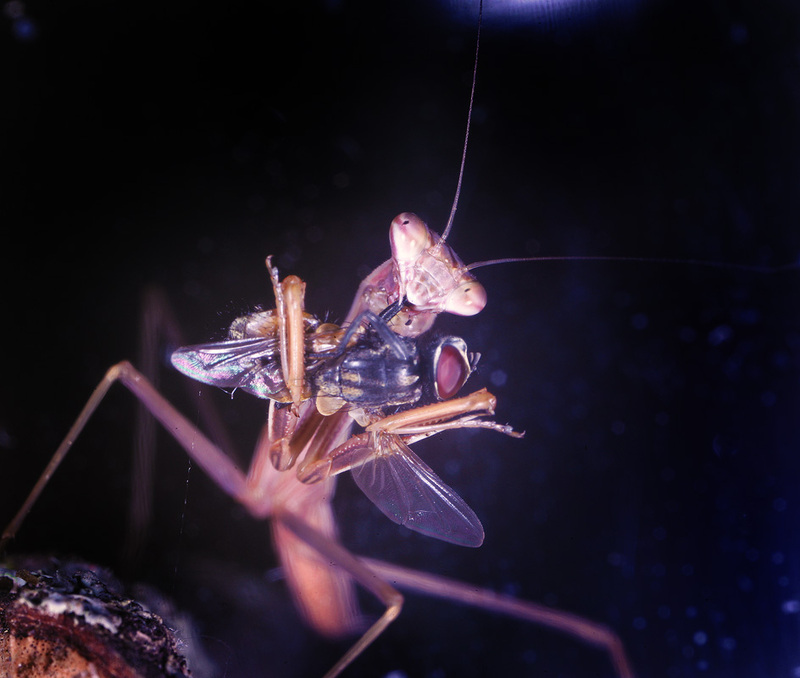 Have fun with this, and check us out on Facebook at Bug Summer here. 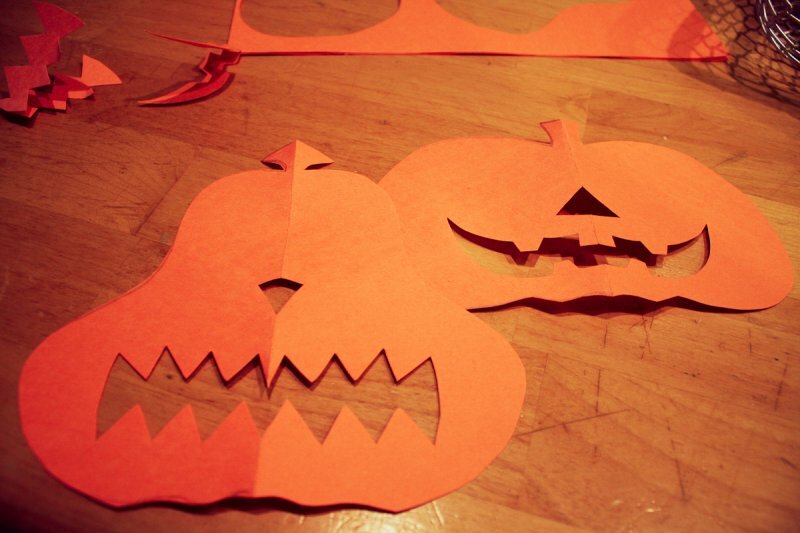 Become a fan and post some of your own creative fall projects! Today is totally a Soda Pop day. 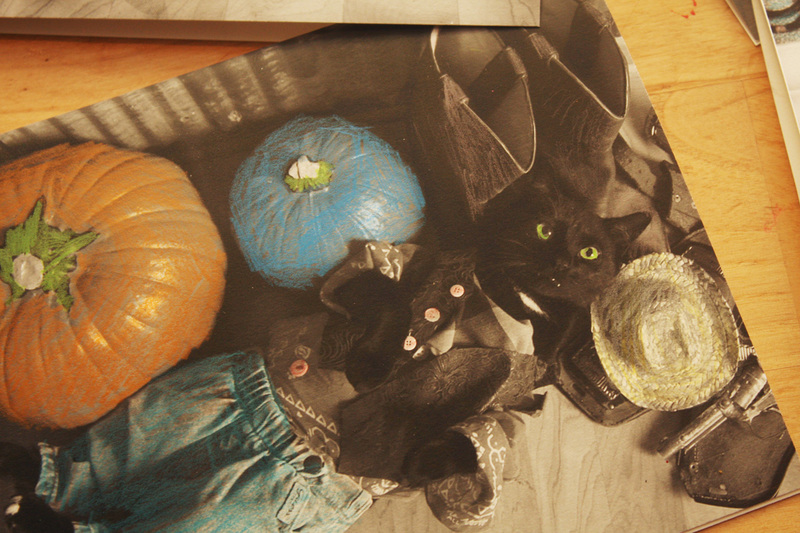 For those of you who don’t know, Soda Pop is the star of my book, I HATE HALLOWEEN, which may be purchased here, AND the inspiration for my 31 Days of Halloween projects. 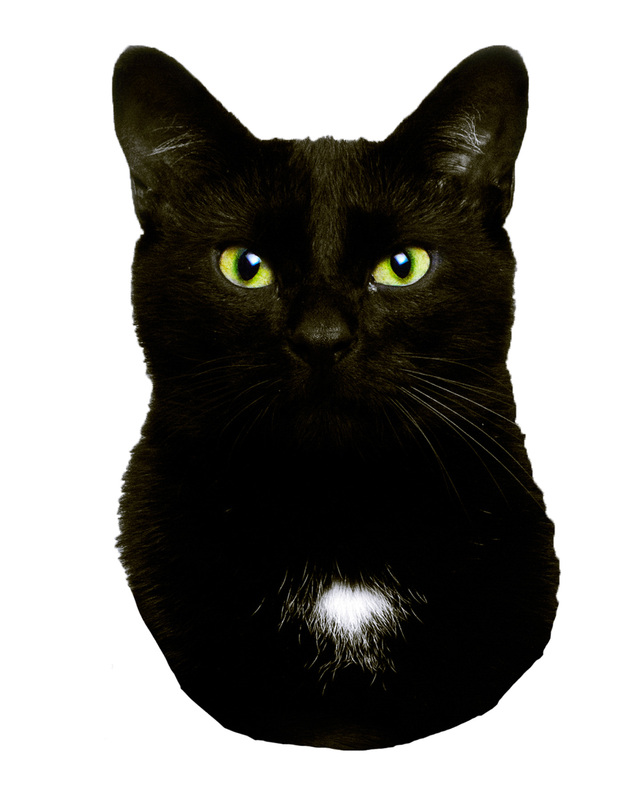 He is a black cat with attitude. 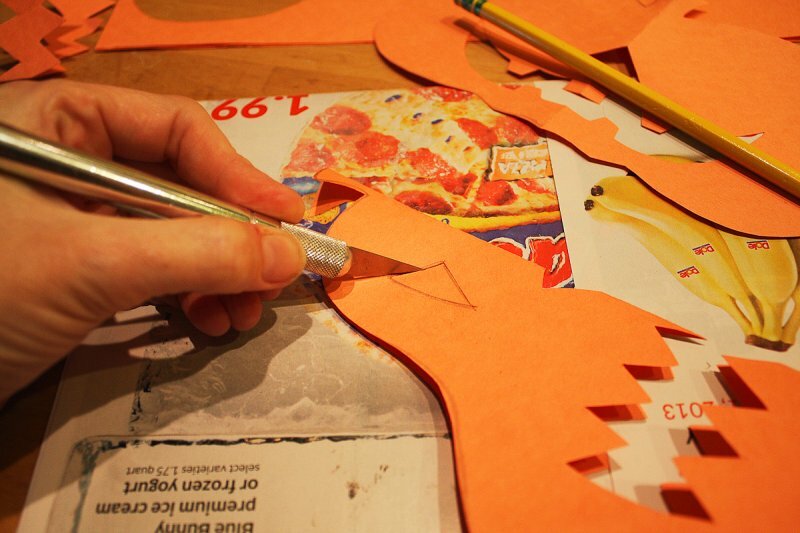 Today, we are going to make something that all children (and many adults) get a kick out of–puppets. Soda Pop puppets. 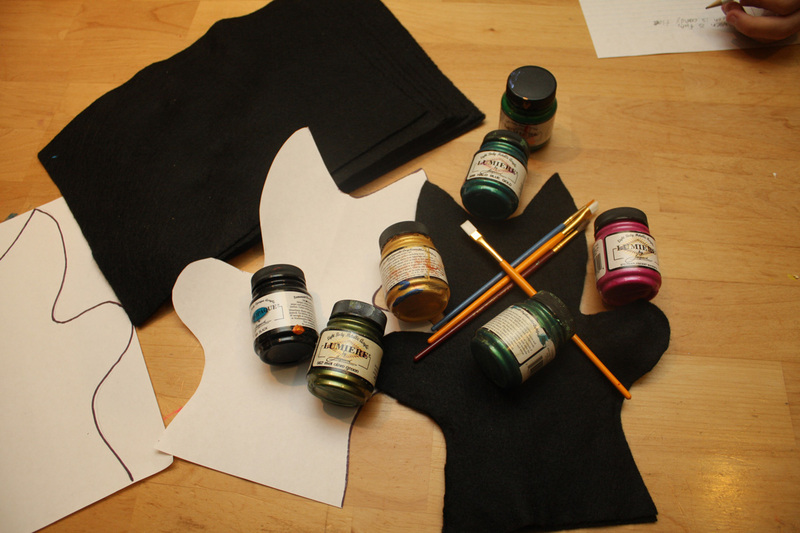 The supplies you will need are black felt–I got 9×12 sheets of it at the craft store. 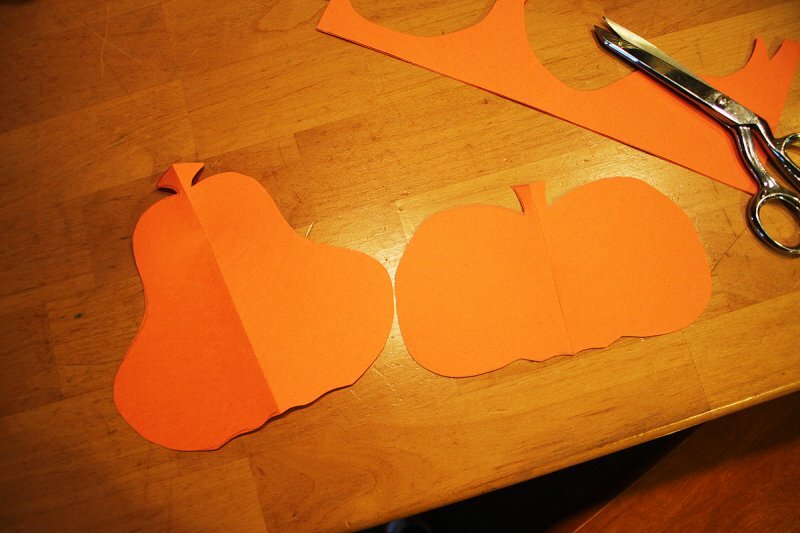 2 sheets per puppet. You will also need a hot glue gun (for easy assembly), or craft glue (if you’re patient) OR needle and thread or sewing machine (if you want to be a perfectionist, which I am NOT). And then whatever kind of supplies you want to use to put eyes on your puppet, or any other decorations that you think Soda Pop would enjoy wearing on his person. 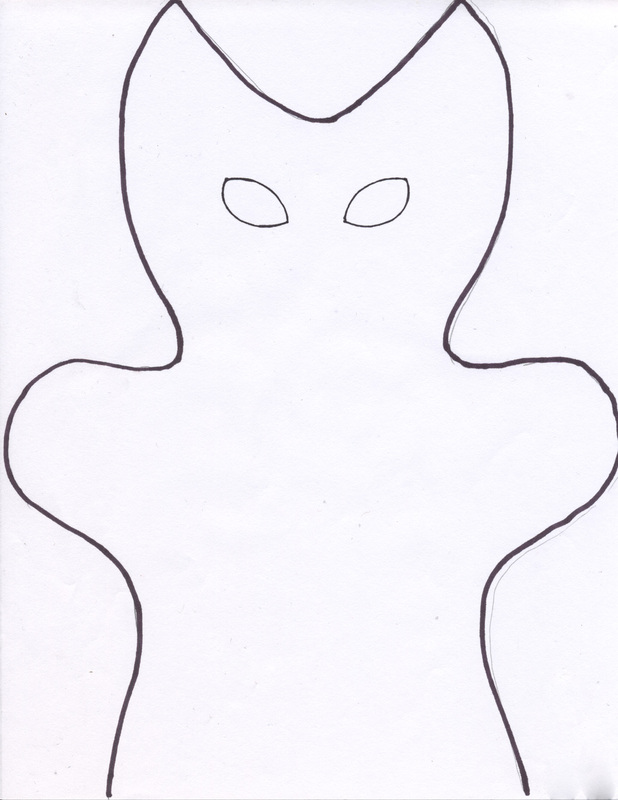 Here is a printable stencil pattern to get you started with your Soda Pop puppet. 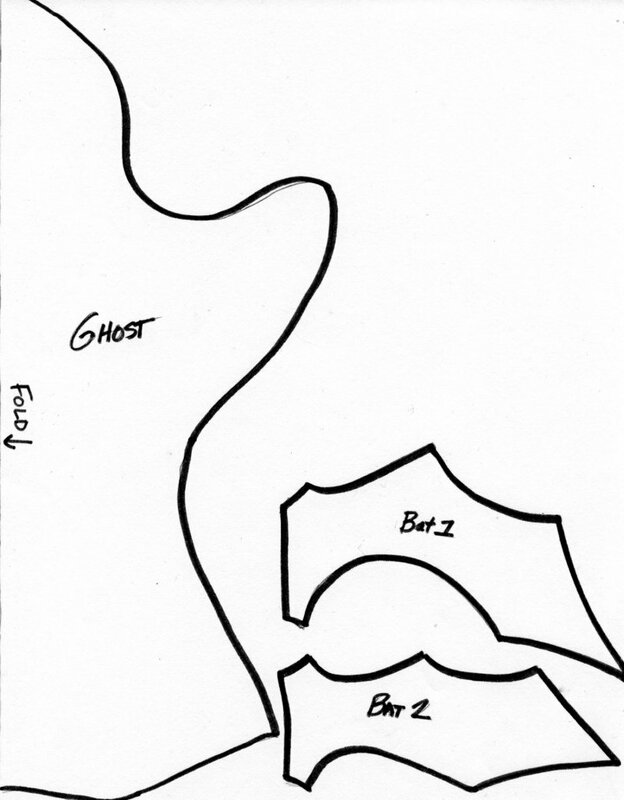 Print it out, cut it out, lay it down on the felt and cut around it. DON’T cut out the eyes in the felt. The eye marks on the stencil are there for guidelines for eye placement. 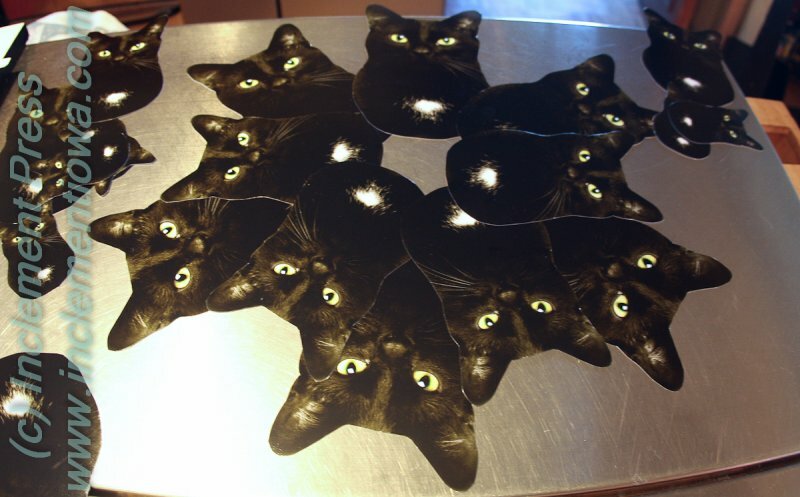 I was able to cut 2 sheets of felt at a time, but one at a time is fine. 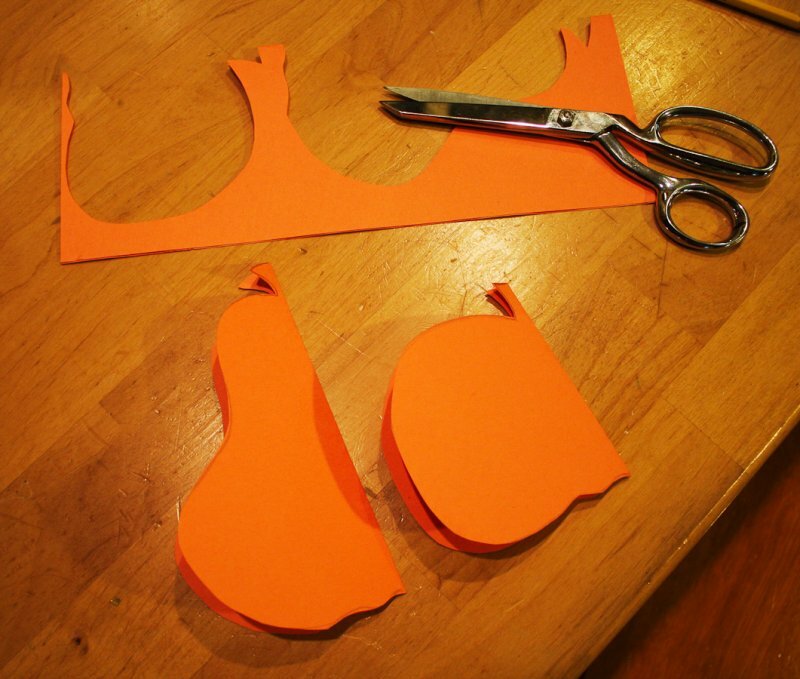 Young kids will most definitely need help with the cutting and glueing of this little guy. After you get two Soda Pop cut outs done, it is time to add facial features/decorations or whatever else you can think of on the front of your puppet. My kids chose paint for the eyes. 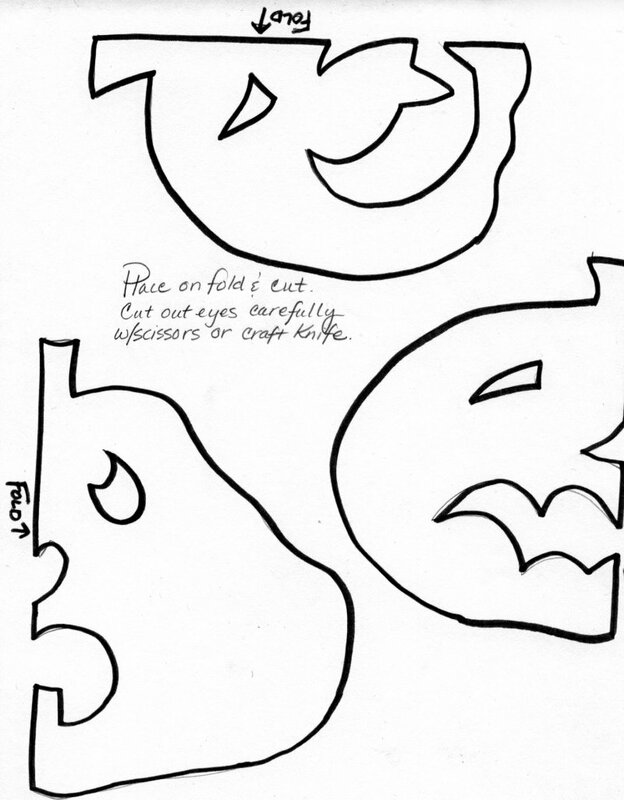 On your stencil, please note the two eyes delineated there. If you have a craft knife, you can cut those eyes out and have openings which you can overlay on top of the felt use as guides to paint/draw/sew your eyes on. 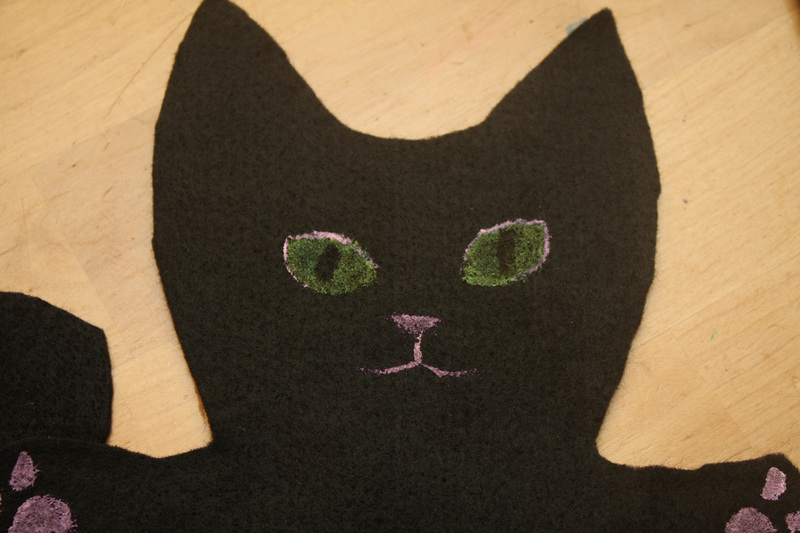 You could also cut other pieces out of colored felt and glue them on for the eyes. How about button eyes? Sequins? Diamonds? Hey, go for it. Here you can see one of my boys painting the eyes on through his stencil. 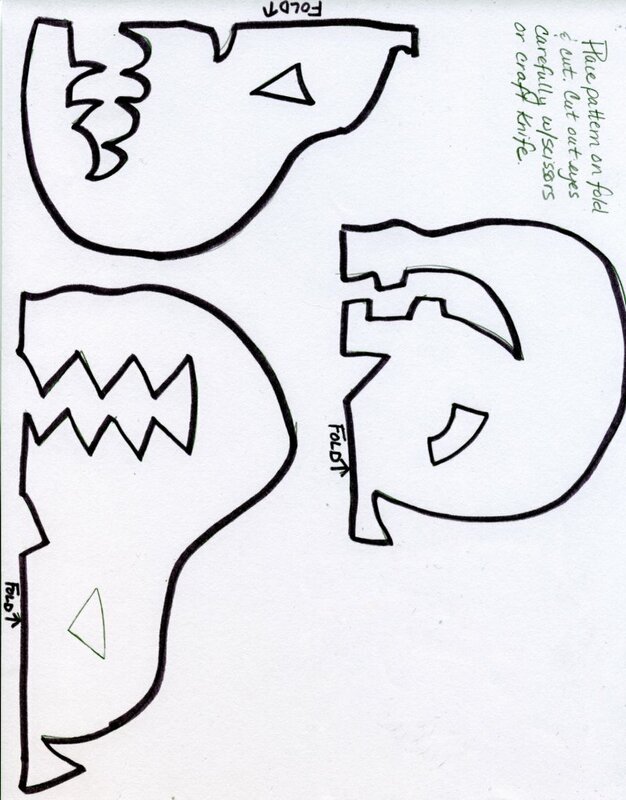 Of course, you may ALWAYS freehand the eyes and facial features, which is what I did. I added a nose, mouth, and paws, but you don’t need to. 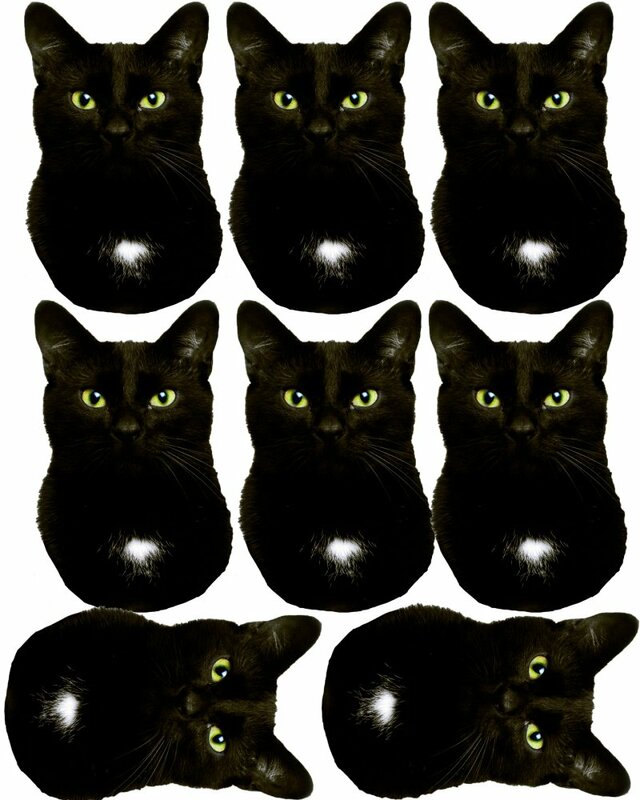 The REAL Soda Pop’s features are totally black, so do whatever YOU like. 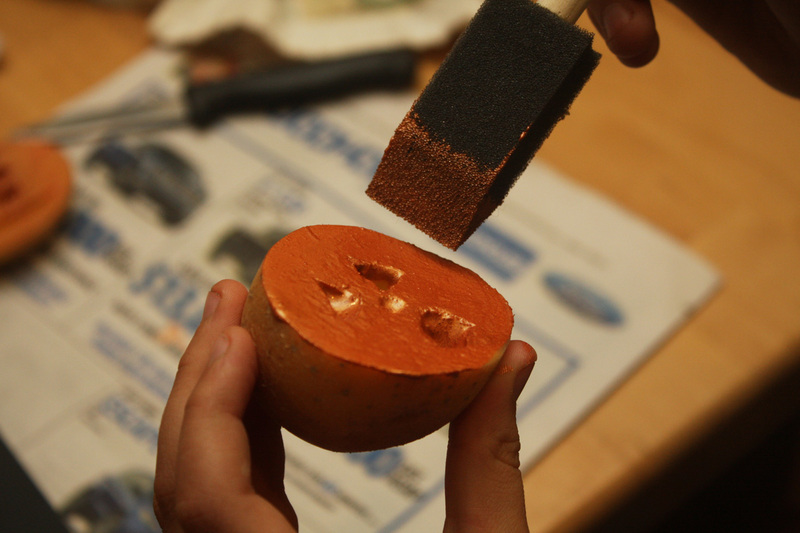 After you apply whatever decoration to Soda’s face/body, you may need to let any paint/glue dry. 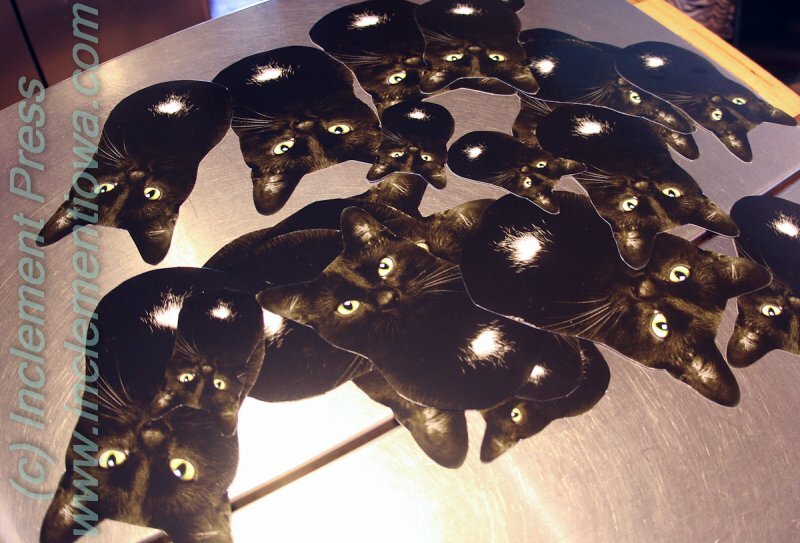 Then it is time to attach the front and back cut outs together. I chose hot glue, because I feel it is magic. Really. Yes, you can burn the you-know-what out of yourself, but it is so darn FAST! Or you can use craft glue, if you have a couple hours. OR, you can use needle and thread to sew the two pieces together, or even a sewing machine. 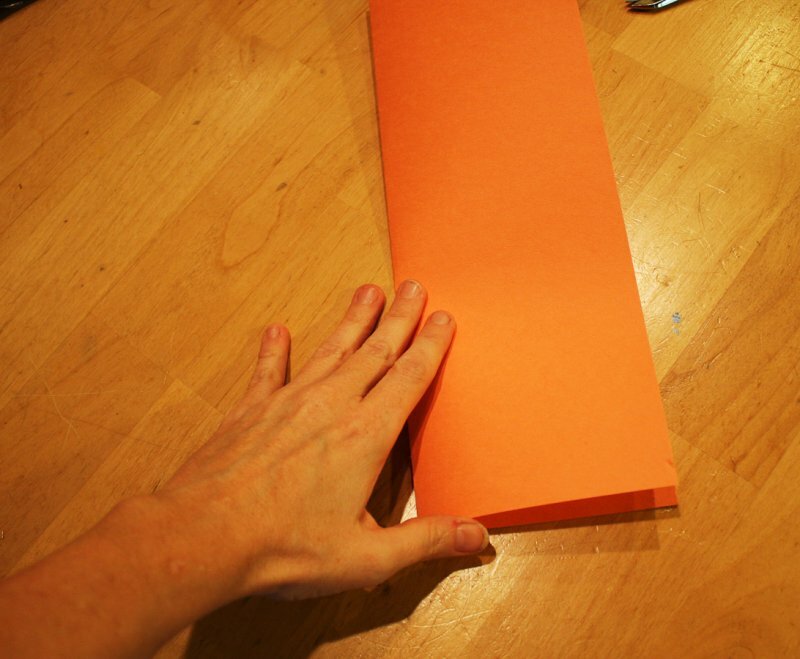 Now, you will glue or sew the two pieces together, keeping the glue/stitches about 1/4″ from the edge, ALL the way around EXCEPT for the bottom of the puppet, where your hand is going to go. 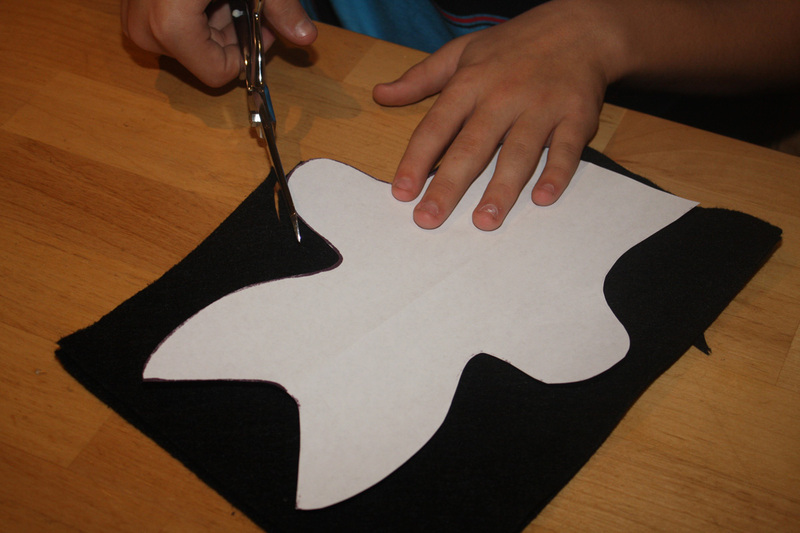 Sew or glue right sides OUT, so there is NO “turning” of the puppet when you are done. It is simply finished with stitching (if you chose to sew) visible. 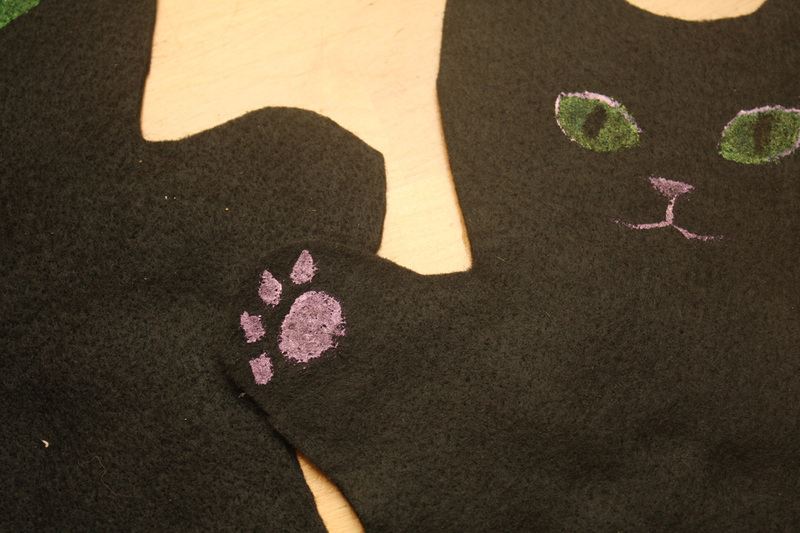 You will end up with a cat-shaped glove. My kids love puppets. Even my teenagers, which some may find weird. Personally, I think it is one of the most creative things you can guide your children to make. And there are people who make their livings doing things like puppetry (Jim Henson, anyone?). Not only do you MAKE something with your hands, but then you can create an entire world of activities/stories/songs/plays, whatever, that are all about the puppet you just made. I’m thinking about making felt “costumes” for my Soda Pop puppet, so he can be just as disgruntled as a puppet as he is when I dress him up in real life. I am having my two homeschooled boys write stories about what their particular puppets do during the course of an average day. 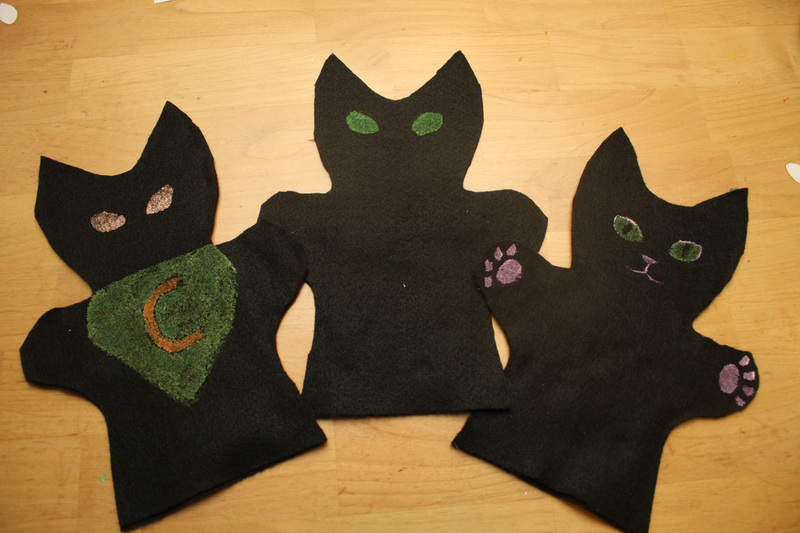 One boy named his puppet Cat Man (feline superhero). The other kid named his Just Regular Cat. I’m interested to read the stories they come up with, and I imagine they will be TOTALLY different, as my boys are themselves. ( I think another fun activity would be to have your Soda Pop puppet read I HATE HALLOWEEN to your children!) 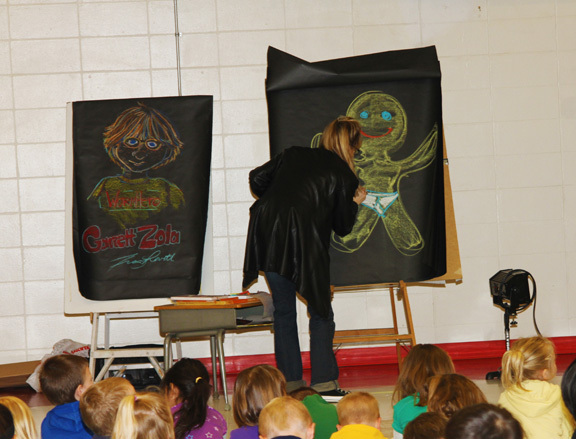 You can also have children write poetry, or even a play featuring the puppet. Make more than one puppet if you like, in different colors. 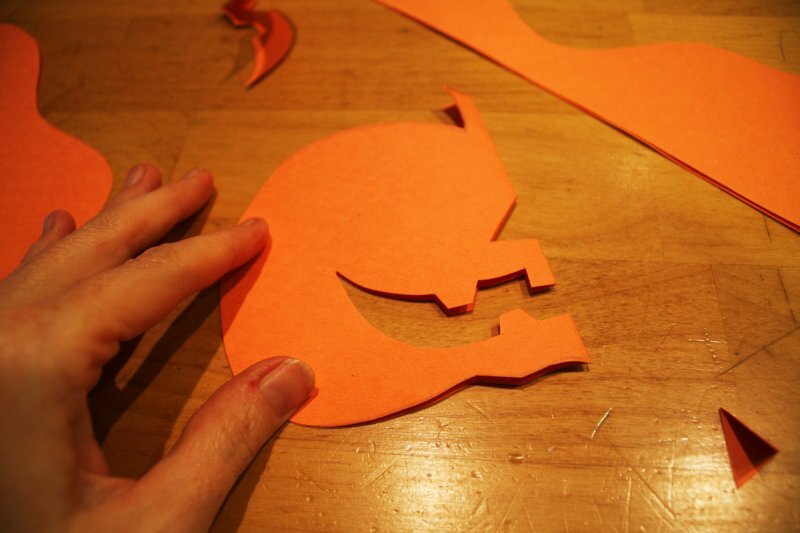 Make different KINDS of puppets—cats aren’t the only critter out there. I need to preface this post with a personal note. Like everyone else, I have big goals–posting every day for 31 days was one of them. And last week, between 5 days of little or NO internet, my burgeoning fall photography jobs, and, last, but definitely NOT least, a couple personal things that came up, I simply didn’t post. Not only didn’t I post, but I didn’t do IDEA generation on posts, or projects, or writing towards the blog (which I normally do so I’m ahead). 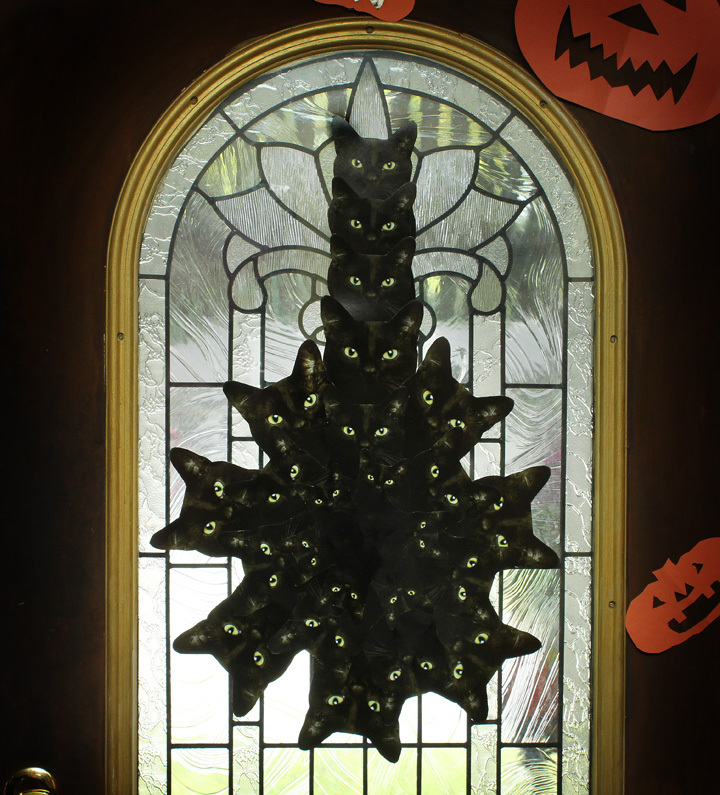 However, it is a new week, I’m still excited about Halloween, and I believe that we can get 31 posts up this month! So, here we go! 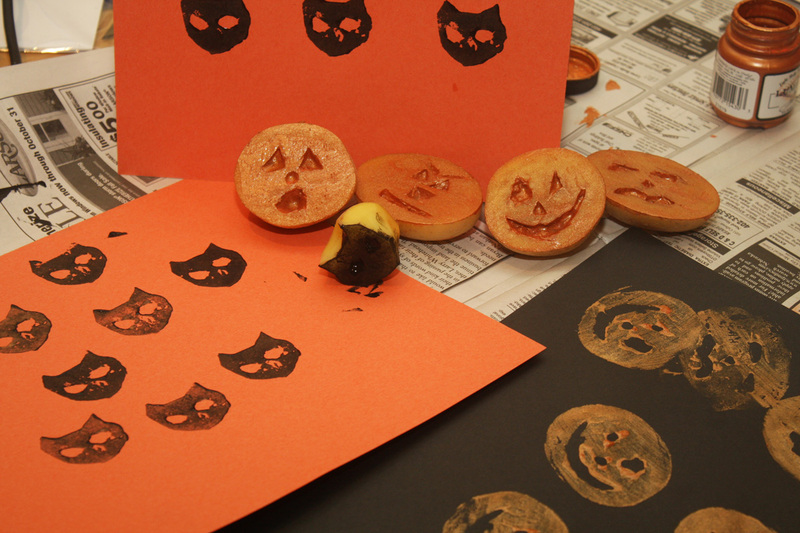 Today is another fun, easy day in Halloween arts and crafts! 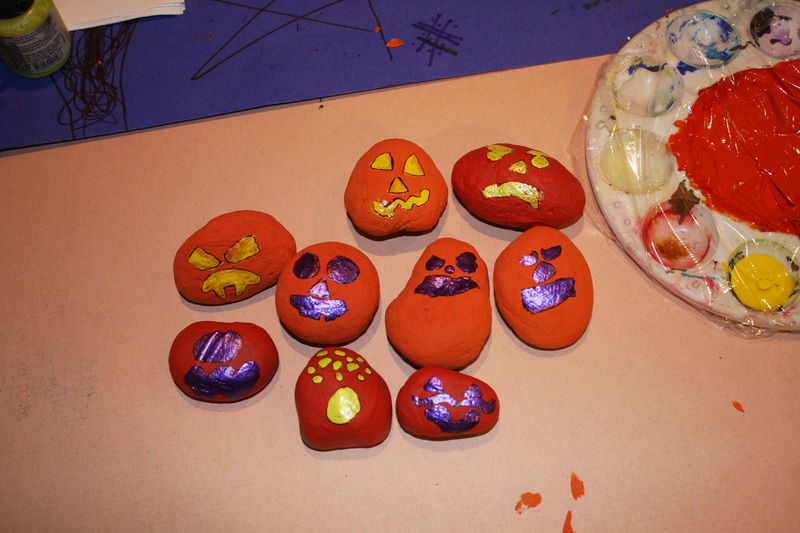 All you need are some rounded rocks, paint, brushes, and of course, children. Kids love to paint. For some reason, sliming their brushes around in sloppy, goopy paint and then making gooey marks with it on paper is one of the highlights of their lives–perhaps, because adults HATE paint. Paint, after all, is messy. It can ruin clothes, carpet, and furniture, and, as an adult, painting is a chore that we must do around our house, forget about being ARTY with it. But whatever the reason, kids find paint magical. Kids also love rocks. 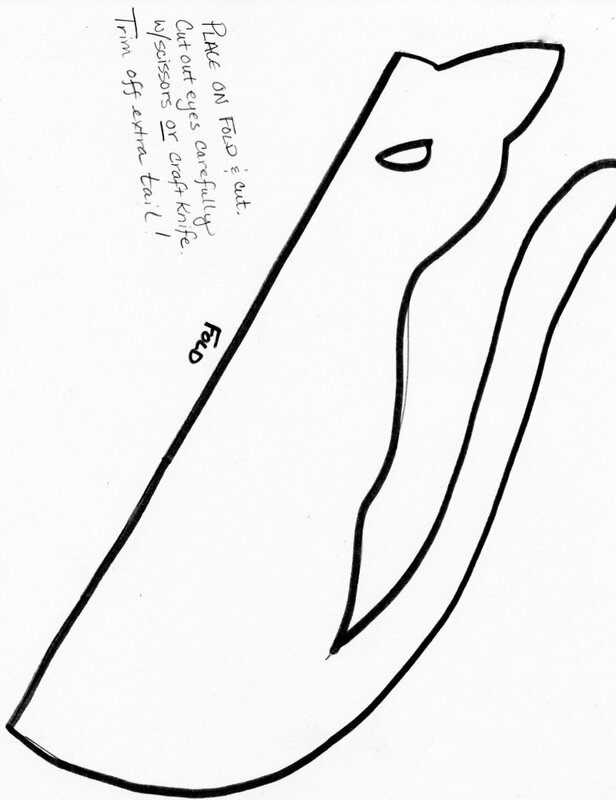 They love to examine them, feel their shapes, learn about their composition, and, if not supervised, they will often find a rock that fits oh-so-perfectly in their palm and they will THROW it, causing possible property loss and/or emergency room visits. Adults cringe when boisterous children pick up rocks. So, I thought, why not combine the two—paint and rocks! Give the kiddos something to do that they will find enchanting, and might make an additional, non-violent use for rocks. Of course, because paint is involved, it will still be messy. But, we are all adults here–we can get over it, right? And, if it’s a warm day, the kids can paint outside. So, here is the art part—get some paint, acrylic craft paint is fine. Brushes are important as well, and they will probably need fine tipped brushes. 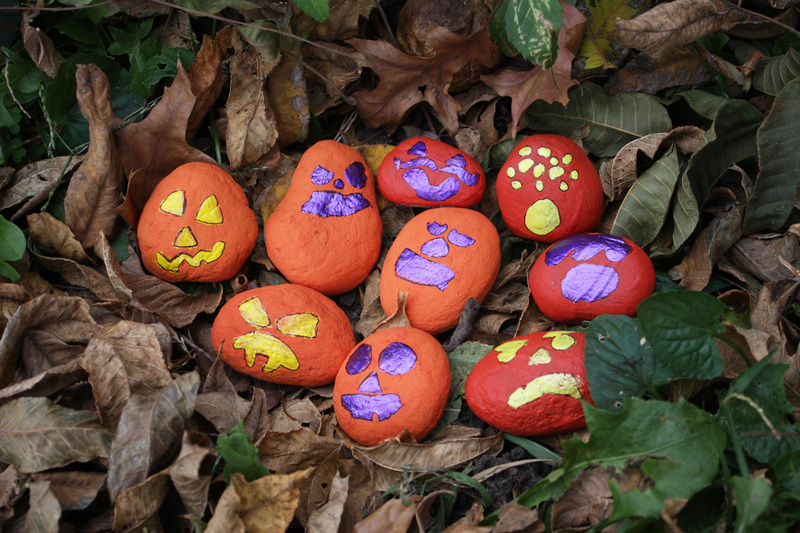 And let those kiddos create their own set of miniature jack-o-lanterns out of the rocks! When they are finished, depending upon the age of the child, they may look NOTHING like recognizeable “faces” on pumpkins. But, I guarantee it—the kids will be THRILLED! Wash the rocks and dry them. Let them air dry a little longer if you can. 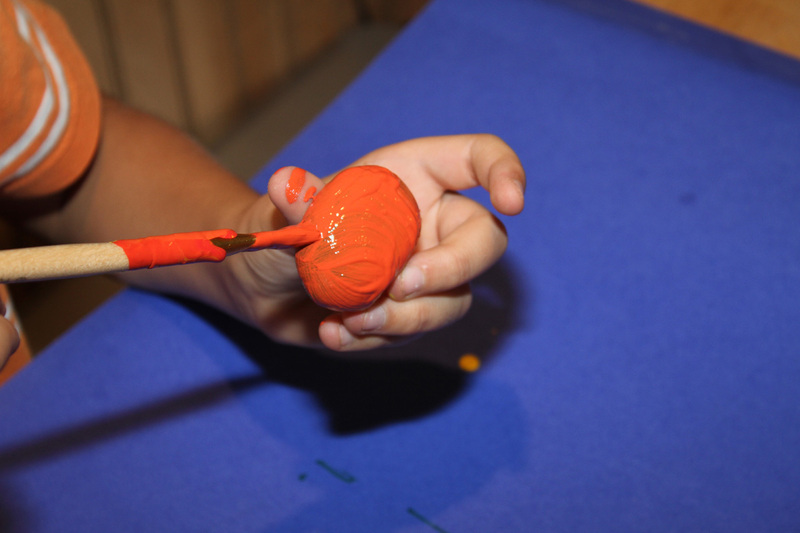 Then, have the children slop on a base coat of paint, most probably orange. This then needs to dry before they put on the faces, so send them out to play or something. Then, give them whatever other colors of paint you have and let them go to town—my kids chose purple and yellow for their faces. Depending upon the opacity of the paint, you may need to do a second coat both for the base and for the faces–you will have to be the judge. 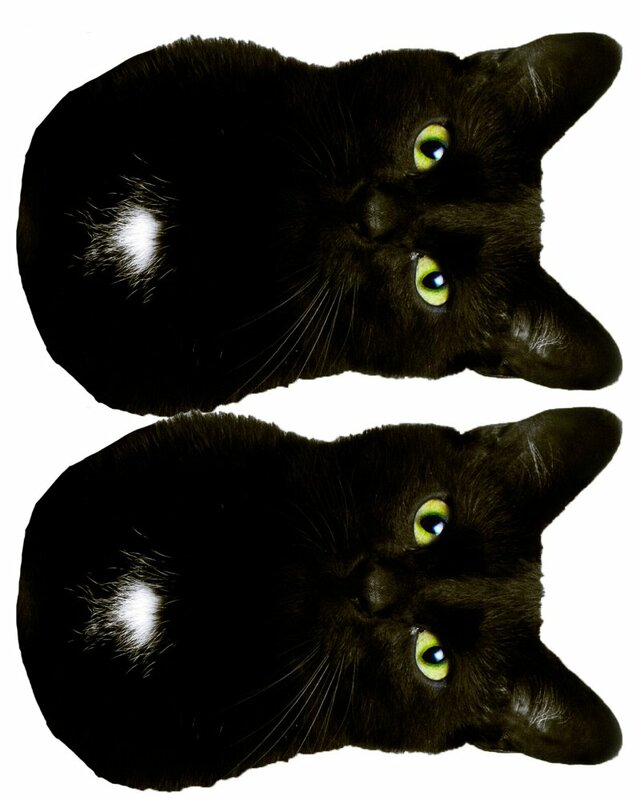 You can also give them black permanent markers to do the face work, whichever they are most comfortable with. 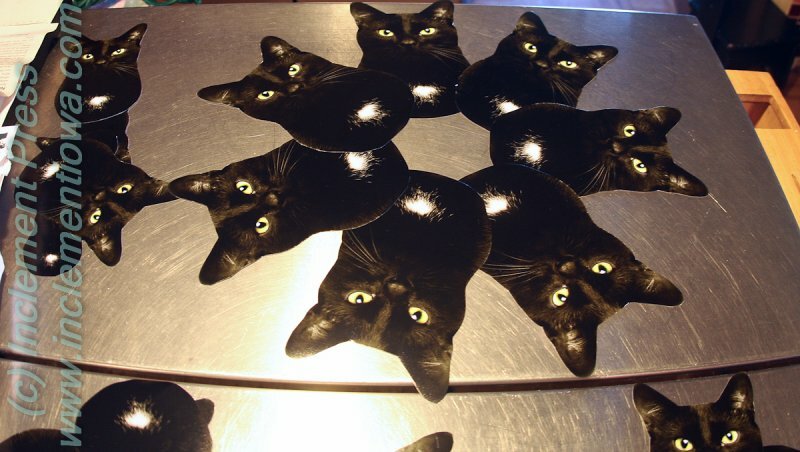 Then, you may clear coat them with an acrylic spray, if you like, and display them. Do NOT get hung up on how pretty the pumpkins are, or how perfect the faces are. That is the WRONG direction for this project. Not sure WHAT this face is, but I LIKE it! Remember, with kids (and with beginning adults) it is about process, not product. The children will be happy with their results, guaranteed. Do not put your own “stuff” on that, saying it isn’t perfect just the way it is painted. 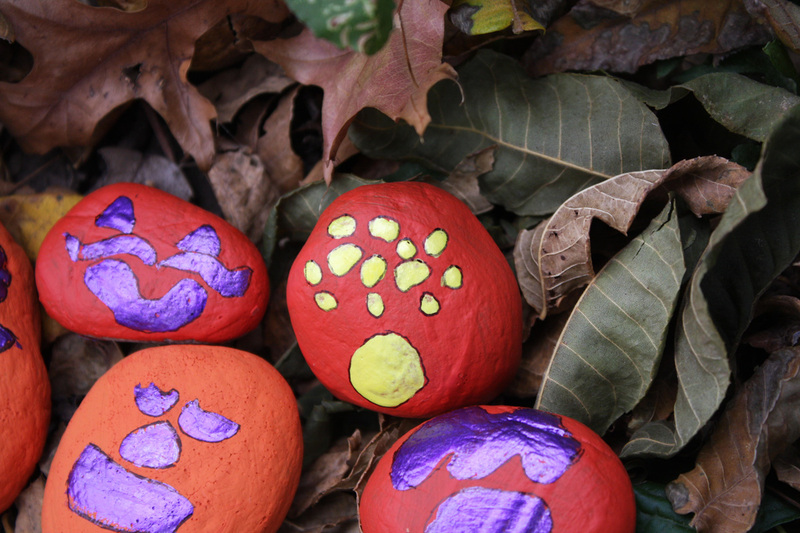 You can do internet image searches and find beautiful art pieces made of painted rocks. And if you are tempted to pick up this hobby as an adult, go for it, and feel free to strive for the absolute BEST painted rock portrait you can. That isn’t what this project is about for the kiddos, however. It is for exactly this reason I didn’t go ahead and do a rock myself. I didn’t want to get caught up in the perfection game, which I automatically revert to when doing my own art. The children don’t need to carry my baggage. 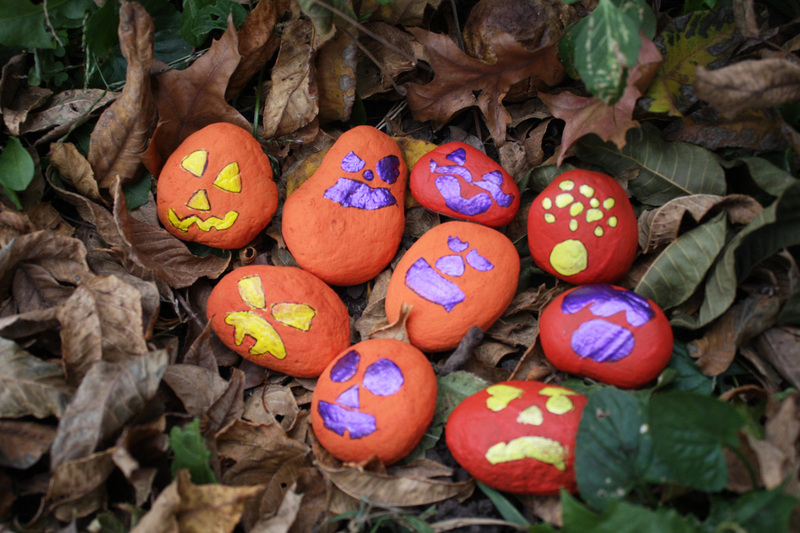 Have fun with this—search for rocks, paint them, put faces on them. Be free. Be easy. And come back tomorrow! We will be doing more Halloween art! 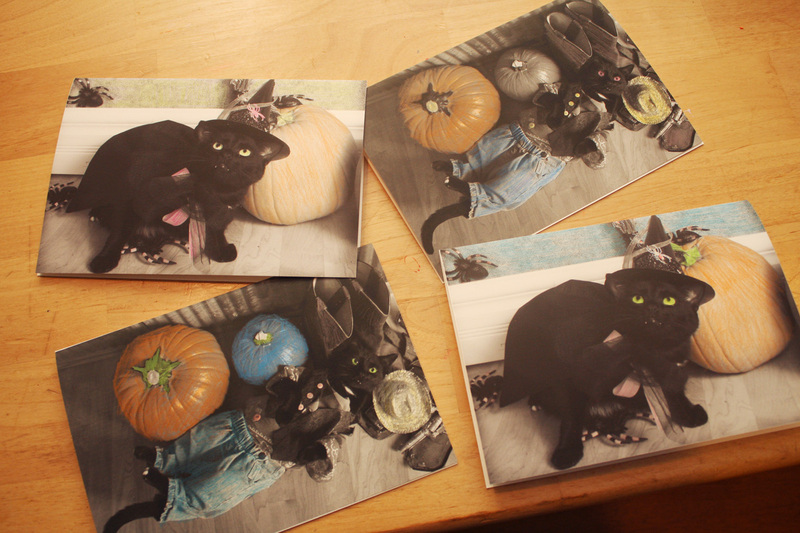 Please see my new children’s book, “I HATE HALLOWEEN”, which can be purchased here. It’s a very funny book, and features my cat, Soda Pop on every page. Please find Bug Summer on Facebook here, and become a fan–post pictures of your own Halloween projects there as well!